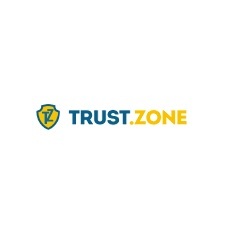 Trust.Zone is a relatively new entrant into the online VPN service although through its excellence in price, its respect for individual’s safety and privacy, a decent network and extremely user-friendly set-up and reasonable pricing, it is favoured by millions of security cautious internet users. Selecting to register in Seychelles, Trust.Zone can promise its clients a no logging policy since Seychelles is completely exempt from the mandatory retention laws demanding logs. Overseen by parent company Extra Solutions, Trust.Zone VPN offer over 127 fast speed servers based in more than 87 zones across the globe. While most users want robust security, others base their VPN decision on reliability and speed, whether Torrenting is possible and price. Trust.Zone offers great. Download speeds, all servers are optimised for Torrenting, P2P and Netflix, while the three different monthly plans offer great budget flexibility. Trust.Zone’s range of friendly apps perfectly integrates with Linux, Android, iOS, Mac and Windows. Trust.Zone offers one of the most attractively priced VPN services already known for its excellent features that ensure privacy, while both its download and upload speeds are good for distant and local connections. Most users find exceptional value in the fact that P2P is unrestricted, which also makes it a hugely appealing option for torrenters. Quick, easy and fast access to Netflix is offered via a dedicated streaming server, while BBC iPlayer is not available. Trust.Zone Warrant Canary states that even though the VPN need to adhere to the Seychelles law and is not subject to the Uniting and Strengthening America laws required to Intercept and Obstruct to the 2001 Terrorism Act, in transparency, Trust.Zone promises to issue a daily warrant canary, which will protect its customers should the event occur in which the company is required to log any actions of its users. Trust.Zone users have access to more than 127 servers placed in over 87 zones, which offer easy switching between servers located in 31 different countries. Once Trust.Zone’s VPN is active sites visited sees the VPN’s IP address, while ISP can also not trace activities encrypted by the VPN and all personal details, data transfers and chats are completely safe. With a hidden IP address as well as location all your online surfing and other activities are anonymous, ISPs are unable to track or monitor any online activities, and users are protected from cyber threats and hackers. A secure account with Trust.Zone offers access to both L2TP and OpenVPN protocols, unlimited bandwidth, unlimited speed, no P2P traffic restrictions and the VPN is available across all platforms including iOS, Windows, Linux, Android and Mac. When it comes to privacy and security, Trust.Zone utilises AES-256-CBC cipher, RSA-2048 handshake and SHA256 authentication. The Trust.Zone Windows option includes an automatic killswitch as well as auto-start and re-connection to a VPN server while setting up through IP Sec or L2TP is possible via mobile platforms. Apart from the FAQ section, Trust.Zone users can also get assistance via the ticket system offered via a form displayed on the site, which offers contact with support from Monday to Friday between the hours of 6:00 am up to 4:00 pm GMT +0. The VPN is also visible and followable via social media such as Twitter, Facebook and Google+. Currently, Trust.Zone offers a limited offer that allows new users to have free access to VPN services for 3 days. With four different options available, the payment plans are quite flexible and offer the no charge 3-day option, one month, three months and 1-year subscription options. An additional 10% discount is offered to all Trust.Zone users paying via Bitcoin, while the VPN service supplier also accepts payments via PayPal, credit cards such as JCB, Discover Network, American Express, MasterCard and Visa, PayPro Global payment options include WebMoney, Bank Transfer, UnionPay, Qiwi, and Alipay. Signing up with Trust.Zone for the first time takes only a few seconds since registration requires an email address and password. A Trust.Zone activation email is sent and once the account is created, selecting the monthly option of your choice is next and after payment is confirmed the download and installation process can start. An independent test on Trust.Zone’s performance and speed impressed with a download speed of 48.11 Mbps, an upload speed of 2.28 Mbps, while a second test offered a download speed of 61.13 and a download of 5.6 Mbps, while the VPN’s reliability is confirmed with tests showing no WebRTC leaks or DNS leaks. Trust.Zone VPN supports iOS, Mac, Windows, Linux and Android, while its list of excellent benefits includes the preventing of ISPs and government tracking your internet activities, no logs are kept of user’s online activities. The VPN also offers a secure account with L2TP or OpenVPN, users have access to unlimited bandwidth and speed, can switch between 127 servers, enjoy restriction free Torrenting and P2P, and the VPN benefits can be tried via a 3-day free option. Apart from support offered from Monday to Friday 6 am to 4 pm, the FAQ offers answers to most asked questions, the service is available at extremely competitive prices, while it tested as DNS leak free and both download, and upload speeds impressed.